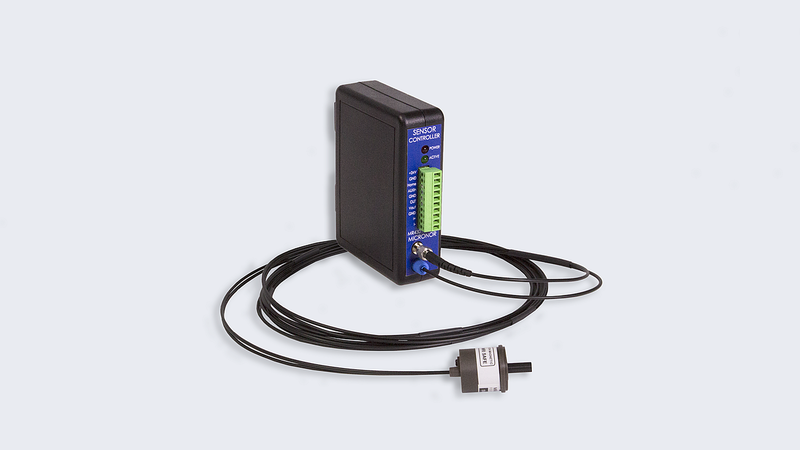 The MR430 series ZapFREE® Fiber Optic Position Sensor is a small form factor, rotary position sensor with 13-bit, single-turn resolution. The MR430 features an innovative design which enables new applications and OEM product features not formerly possible with electronics-based sensors. 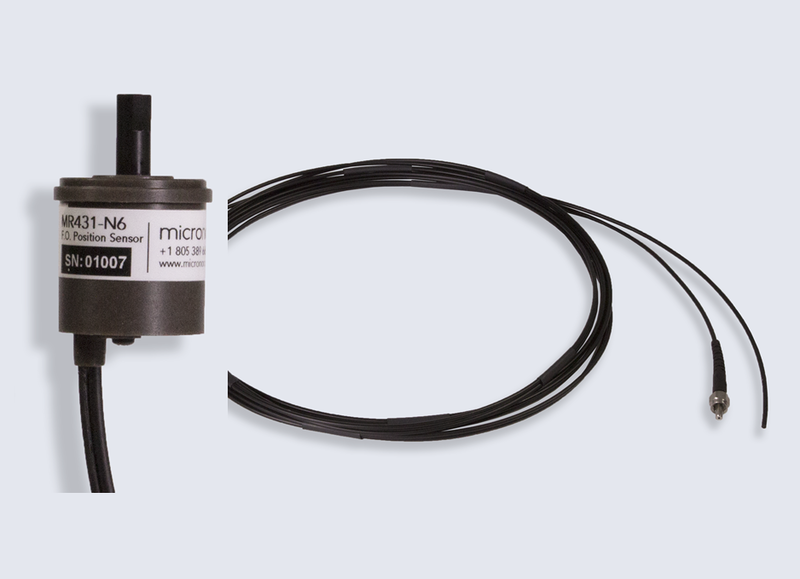 The MR430 Fiber Optic Position Sensor measures absolute angular position from 0° to 360° with 13 bit resolution and multiturn tracking up to 12 bits (4096 turns). The system can operate at full accuracy at speeds up to 2200 rpm and distances up to 30 meters. This sensor system uses a novel optical spectral imprint technique. The MR431 Series ZapFREE® Fiber Optic Absolute Position Sensor measures absolute angular position from 0° to 360° with 13-bit resolution. 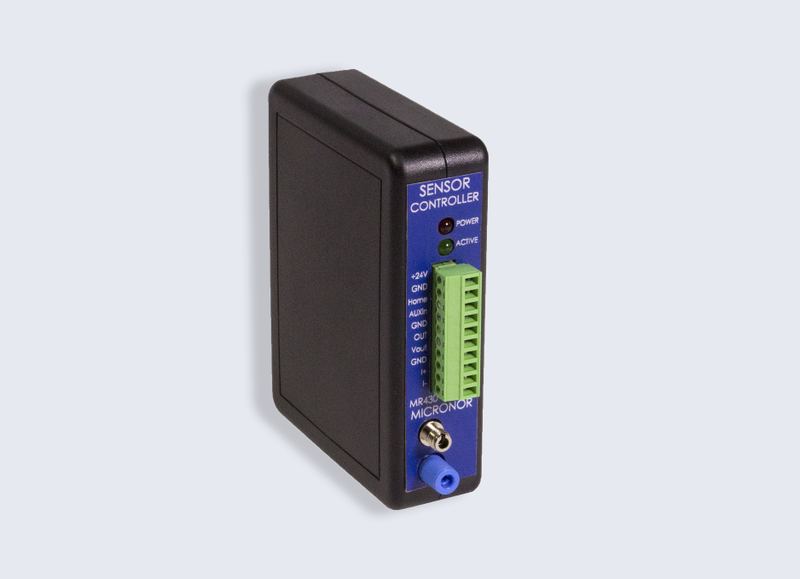 This innovative sensor requires an active MR430 controller linked via duplex 1mm M-POF plastic optical fiber (MR439) to be fully operational. The MR430-1 Controller is the active system interface which connects to a MR431 passive optical sensor via duplex 1mm M-POF plastic optical fiber (MR439). The MR430 Controller will seamlessly interface with any control system using any of its built-in industry-standard interfaces: SSI, RS485, Modbus (RTU), USB, ±10V, 4-20mA and digital set-points. ZapView® 430 software is provided free and is designed to provide the user with a simple but powerful system configurator and diagnostics tool for the MR430 Fiber Optic Position Sensor System. Initially, the program is used to pre-program MR430 parameters associated with various Auxialiary Functions, such as the mode and scale of an analog output, SSI baudrate, etc. It is also used to verify system operation during installation, run diagnostics and facilitate system troubleshooting.